SURF TRAVEL COMPANY, surf travel, surfing tips, big wave surfing, surf travel, surf trips, surfing picture, surfposters, surf boat charters. This SURF TRAVEL site is about surfing and travel and help for planning your next SURF TRIP to prime SURFING SPOTS in the Pacific Islands, Australia, Maldives, Malaysia, Thailand, Indonesia, Philippines, Europe, South and North America. When winter aproaches the decision to head to Indonesia becomes in thefore-front of so many surfers mind. The crowds at Indo have been increasing more and more every year and even some spots that you were sure to have to yourself, courtesy of a surf boat charter are now being populated by more than one vessel. 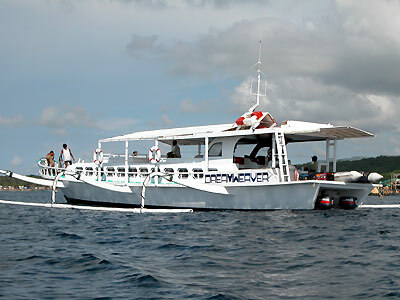 However the waves are just so perfect and the climate is so tropical Indonesia is so hard to ignore.Surf Charters have found their way into surf travelling.Surf charters are a great way to get into the some of the most inaccesable spots on the face of this planet in the shortest amount of time. Maximising your surf time, without the associated risks of over land surf travel. However understandably it's not for every surf traveller. Some like enjoying the adventure of the overland trip. When looking at taking a surf boat charter you need to consider a few things. Surf boat charters has a few of the things you should look fo, Find trendy surfing clothing online to wear on your surf boat charter! 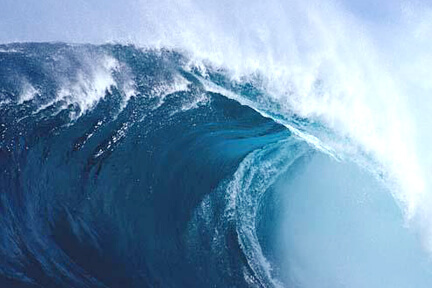 Europe is another great surfing location for our winter.France, Spain, Portugal, all have world class surf. Mundaka, is a must surf place if you are anywhere near Spain. These places , though can be very busy at that time of the year, and you need to plan well in advance if you are looking for decent accommodation also be sure you are well covered by travel insurance. Once upon a time I was a grommet. Life has always been great to me ever since I can remember. All the waves and exotic places that i've been fortunate enough to SURF TRAVEL to and surf. I remember when i was a grommet and my first attempt at surfing at Snapper Rocks. It wasn't as crowded back then and you could sleep on the beach. We all disliked clubbies and ski riders, or goat boaters, and body boarding was a thing that the chicks did. We wouldn't go home for days on end, we'd just hang on the beach, surf and eat chips from Mundees. A lot of the older guys were pretty mellow. They'd tell us stories of before the groynes went in at Kirra and waiting for a mate to turn up to paddle out. Some of them were in Kirra boardriders and they invited us to join, to help make up the numbers for a contest the following weekend. All of a sudden and for the briefest of moments I was going to be a contest surfer. Well the surfing contest was going to be held at Duranbah, we slept the night at Froggies and at the crack of dawn we were in the water, surfing a clean south east swell of about 4 foot. Come 7 o'clock we were wondering were everyone lse was. No tent, no Bowie music, by 8 a mate came and told us that there was no contest 'cause there was a keg put on at the presidents place, after "The Patch" the night before and they couldn't be bothered, maybe the next week. They were the times when Michael Peterson ruled the Gold Coast., With an approach to surfing that wasn't advanced again until the likes of Kelly Slater in "Black and White". They were the times when we hated the "glossy's", Rabbit, Warren, Drouyn etc. and what we felt was their "Gold Coast Developer" attitude to surfing. As the profile of the pro surfer gained more popularity and the back yard surfboard designers disappeard, and I grew and bought my first car an old Holden, I travelled to places like Cabarita, Noosa, Byron Bay and Lennox Heads, I found myself searching further from home. While hanging around Angourie, living out of the back of the HR I came across a magazine that talked about surf travel to Indonesia and had pictures of Uluwatu. Within 6months I had sold the beast and headed to my nirvana (which was a cool term then). Now I must say my first surf trip to Bali wasn't all that i'd hoped, in fact I was a bit intimidated by all these strangers hanging on me. But what it did is it gave me an insight into another culture and a lust to search and travel around the corner in my world, not just in my country. Being born in a country where you can earn enough money to live comfortably and to afford a surf trip away every now and then is a great privelege, and being a surfer, to me, doubles that privelege. There is so many waves out there, from remote island surf to favoured and world class breaks. We are really living in great times for a travelling surfer. We are even naming headlands and reef breaks like the travellers of old in their dugouts and boats. Many of these names are sticking, names like CloudNine, Temples, One Palm Point, Napalms, Hunuwan and even Pipeline. 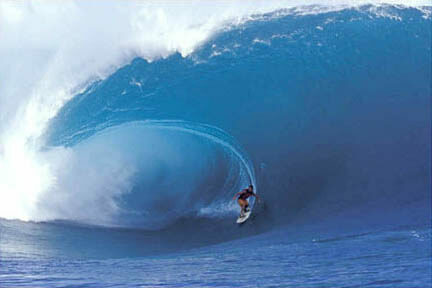 I've been surf travelling since the HR and have seen so many fantastic and exotic places and surfed so many great waves. If you are one of the many surfers sitting in the lineup wondering where else this great ocean touches land get out the maps and charts and tell yourself "this spot looks good". Do your research, jump on some cheap cruises, or get dropped at the international airport by your mates, thank 'em for keeping your countries economy going, by working while you're away, don't let them carry your boards in for you, because your surf trip starts there and it's one of the best feelings lumbering your surfboards up to the check-in. Let 'em carry your small pack if you want and get them to buy the coffee, cause you don't want to break a $100 note.